The Change-A-Life (CAL) Foundation is promising greater support for beneficiaries following its recently held special fundraising auction tagged “Celebrity Iconic Piece Auctioning” at Terra Kulture, Victoria Island, Lagos, reports ITRealms. 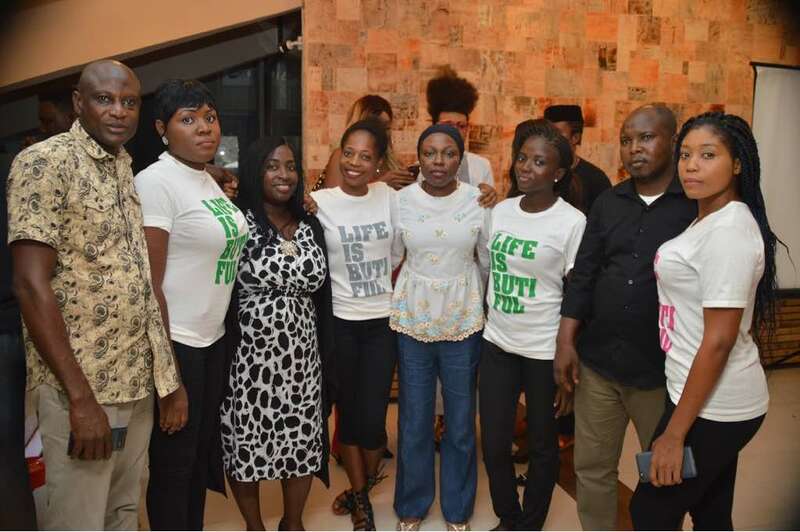 The event held as a part of the foundation’s social service activities for the year 2018, had several dignitaries and celebrities in attendance, including former First Lady of Lagos State, Mrs. Abimbola Fashola, represented by Mrs. Azeezat Tijani, who offered to train all beneficiaries of the foundation’s Women in Business programme in catering services. 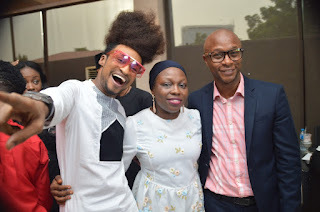 Also in attendance were representatives of the famous talent and event agency, Temple Management Company; popular red carpet and television host, Denrele Edun, who anchored the event; Ugochukwu Monye, principal head of Ugo Monye Menswear Fashion brand and official tailor of Big Brother Naija’s Ebuka Obi-Uchendu; Head, Digital Marketing, First Bank of Nigeria Limited, Yinka Ijabiyi, and Toyin Lawani of Tiannah Styling. CAL Foundation, a social non-profit organisation passionately driven by the need to enable and facilitate a better life for every Nigerian child, which was founded in 2002 by journalist and TV producer, Funmi Iyanda, has consistently delivered several empowering initiatives to support children and women. The foundation, which is known for supporting children who despite the harsh socio-economic situation in the country have shown determination to thrive in their various academic endeavours, decided to hold the event in order to raise more funds for the continued support of academically sound, well-mannered students who are facing financial constraints. Speaking during the event, the Chief Operating Officer, Sekinah Ayeyemi, stated “that the event was held in line with the organisations mandate to promote, protect and preserve the rights and welfare of children in Nigeria, especially in the area of academic development. Ms Ayeyemi further explained that the event is also remarkable because it marks the celebration of the Foundation’s 15th year of putting smiles on the faces of all its beneficiaries. In appreciation to the foundation for its immense contribution to the advancement of child rights as well as the social and academic development of the average child, several past beneficiaries of the foundation commended the founder, Ms. Iyanda, and appreciated her for her passion for children. One of the past beneficiaries, Okon Clement, now a graduate of Tai Solarin University of Education, commended the foundation and its founder for their steadfast love for empowering children and youths. “This foundation has been a blessing to me in many ways. I am a graduate today thanks to the financial support I receive as a beneficiary of the foundation which took care of my fees from primary level of education until I finished from the university. I pray that God continues to bless and increase them,” Clement said. 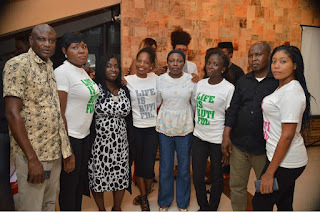 Ayeyemi also appreciated all the supporters and sponsors of the event for their unwavering commitment towards improving the wellbeing of the average Nigerian child in communities all around Lagos and beyond. “We really appreciate all the dignitaries, celebrities and VIP who have demonstrated their love for the children of this great nation by supporting this event; we say a big thank you to all,” Ayeyemi said. She finally called on other corporate institutions to support the foundation as well as other similar organization as a way of showing their love for the development of the average Nigerian child as well as in continuation of their social development activities.